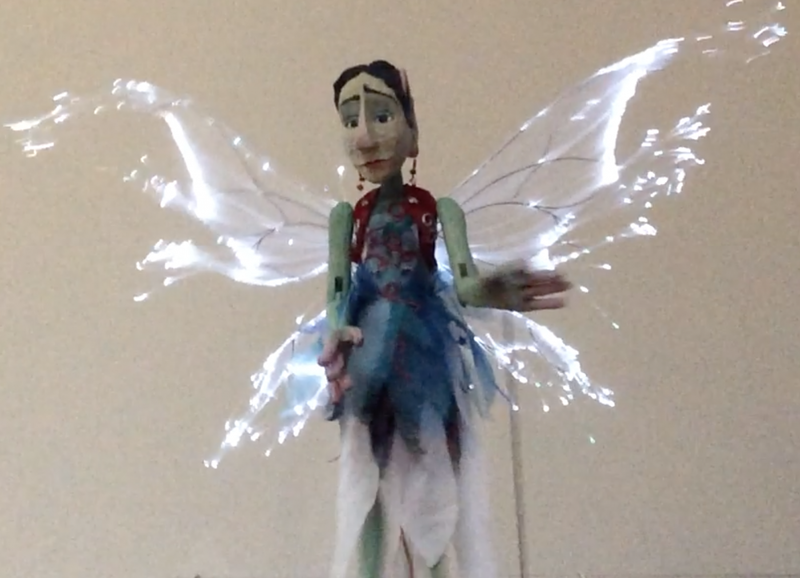 This fairy is the latest puppet I made. It is puppeteered on a rod and can move It's head and arms. We will be performing it with a unicorn on stilts. It is carved out of lime wood, her wings are illuminated by fibreoptics. Published on 14/11/2018 04:13 pm.